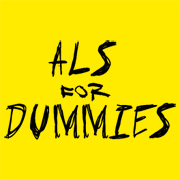 What’s up everybody, my name’s Guilhem Gallart, I’m 45 and I’ve been diagnosed with ALS since 2015. Today I’m tetraplegic, tracheostomized and fed through a gastrostomy tube. I’ve been through so many twists and turns that I consider myself as being a survivor. She said to me “You’re our golden record”, Marie’s a resuscitator from the intensive care unit I just lived in for 2 months. When I was admitted, even doctors didn’t believe in my survival; yet, discouraging a resuscitator ain’t easy… After I came back home, I’ve started to get in touch with many sick people and their loved ones, through social media. I realized pretty quickly that the lack of information, whether technical or from a global perspective, regarding this pathology, reaches epic proportions. So I’ve decided to make a modest foray into writing, and produce several texts of informative nature; of course some of them will be what we French call “billets d’humeur”. I’ve gathered them all here; they are serious, yet I don’t get cocky about them. I didn’t do science or medical studies, but to prevent me saying too many mistakes I’ve been lucky to obtain the technical expertise and help of Dr. Jean-François Virolès, who knows this pathology pretty well. In spite of myself, I became some sort of expert-by-default on several matters and my only goal here is to inform. During our disease, we will probably have to make our most crucial decisions in life. It’s unbearable for me that these decisions are being made without the proper enlightenment on every option we do have. I’ve heard too many newly diagnosed say that everything’s screwed. Indeed, we can’t heal (yet) from this disease, but I solemnly testify that we can live happy and at peace with it. 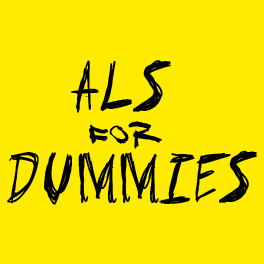 If this disease affects you directly or indirectly; if you’re a doctor or paramedical care, if you’re a personal care assistant; in short if you are somewhat connected with the ALS, I modestly suggest that you to take some time to read all the contents of this website. PS: I have to precise that every article in this website have been envisioned regarding socio-medical and legislative context in France. Our english-speaking friends are welcome to share with us all the differences regarding philosophical, political, medical and/or legal conditions of their respective countries, as long as these are connected to ALS.